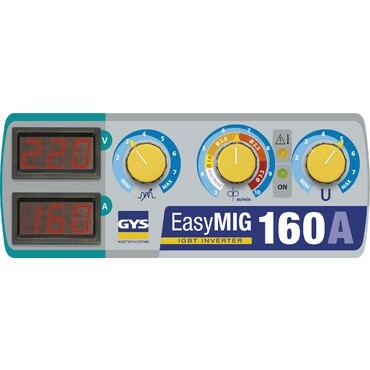 The EASYMIG 160 is a semi-automatic machine that combines MIG/MAG, cored wire and MMA welding processes. Thanks to its user-friendly interface with digital displays, the voltage and wire speed settings are made easier to set. Its ultra-light design makes it extremely portable.. 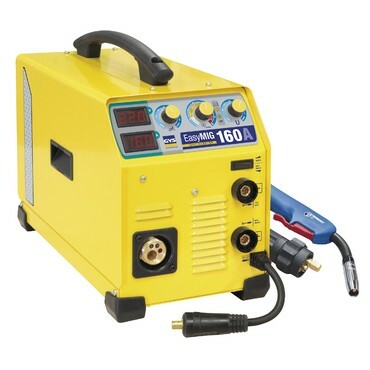 The EASYMIG 160 is recommended for welding steel, stainless steel and aluminium. 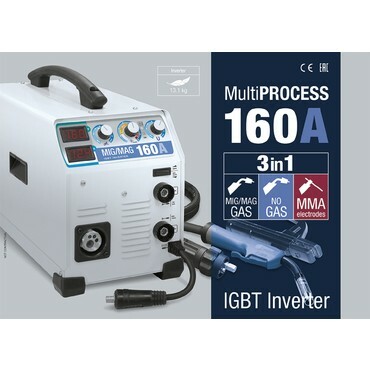 Inverter technology to ensure an excellent welding current quality and a low electric consumption.